A premium add-on for Leaky Paywall that allows you to bulk import subscribers into Leaky Paywall. 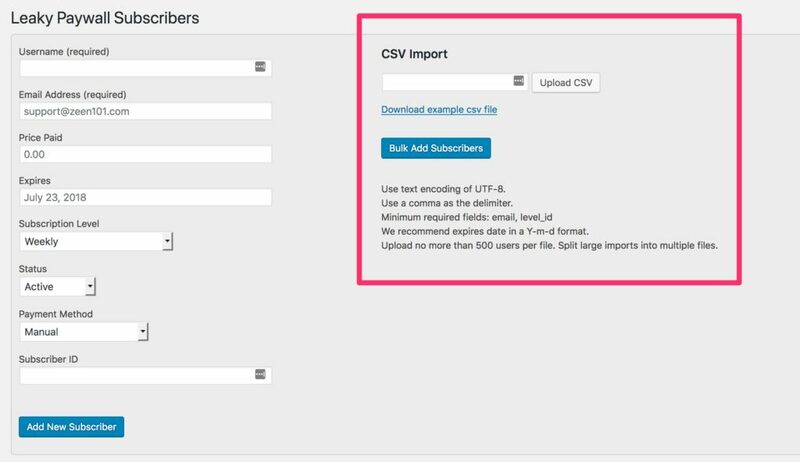 With the bulk import subscribers extension you can import a large list of users at once with a CSV file. When you install the extension, a new section will appear on the subscriber page that will let you upload a CSV file.